Why would you be in search of a list of FUN holiday ideas? Vacations are fun by definition (for the most part -unless you are dragged hiking for a week with a heavy backpack and no shower when your idea of connecting to nature is tending to the basil plant on your window sill, at best). The very act of taking time off work, disconnecting a bit from routines and responsibilities, seeing beautiful places and eating good food is fun. 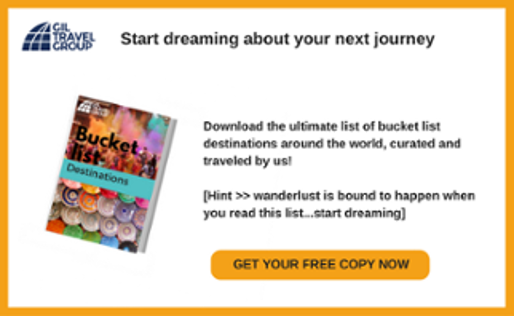 But perhaps you’re amongst the lucky few who have seen and done it all and you’re now looking for a holiday idea that will be different and appeal to your senses. Or, perhaps it’s just the opposite. You rarely get the luxury of taking a vacation and so when you do, you want to go out with a bang. 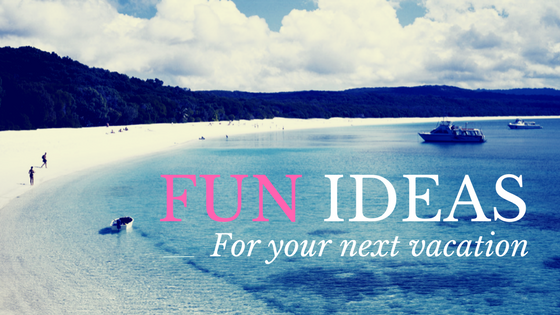 Either way, there are plenty of fun and different ideas for your next vacation. Fly by charter flight over the High Atlas Mountains landing on the sunbaked desert floor (no runway) with sand dunes as far as the border of Algeria. Enjoy an escorted tour hosted by Berber Bedouins on camels and transported to your chic tents in a luxury desert encampment. Arrive at your dessert encampment and be welcomed by sweet dates and tea. Have a sumptuous traditional Moroccan dinner and enjoy the beauty of the Saharan sky and the magnificence of your surroundings. Wake up to watch the sunrise from the east. Maghreb, the Arabic name for Morocco, means the West; Morocco was at the very edge not only of the Islamic world, but of the known world. Have a decadent breakfast after the sun rises served at your encampment. After breakfast, enjoy a walk in the area. Head north by 4x4 to the Skoura oasis. Any of this sound fun and exotic yet? Well, it is. 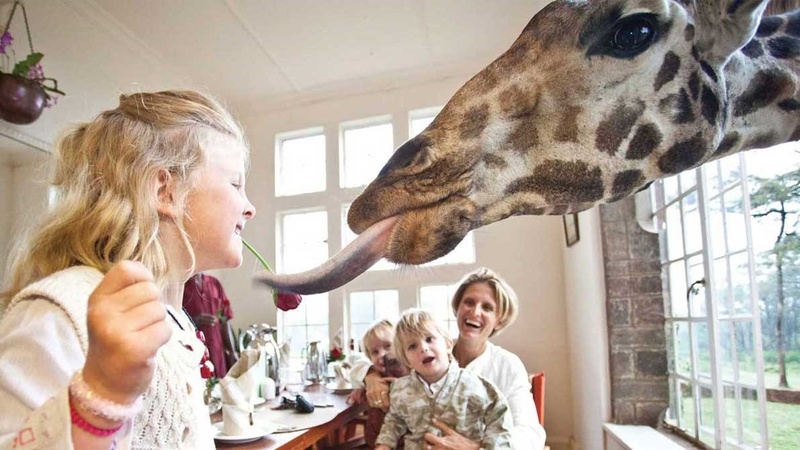 Giraffe manor located in Nairobi, Kenya feels straight out of the Dr. Dolittle film. The hotel is built in a historic building with European colonial flare. 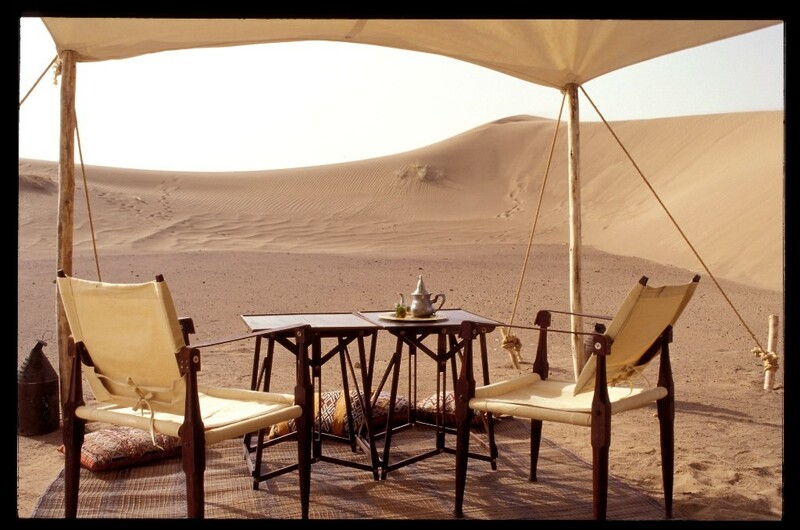 It’s elegant interior, beautiful courtyards, sunny terraces, sprawling gardens make for a luxurious African adventure. But that’s not even close to the best part. The manor is home to a herd of giraffe that freely walk around. They are tall, goofy and blend in as if it’s totally normal to be eating breakfast and have a giraffe bend its long neck into your window to say hello. To some of you this might sound like the perfect opportunity to spend much needed quality time with your family. To others, this might be your worst nightmare. Imagine your whole family packed into one van arguing about directions (thankfully today we no longer have to rely on a good old map to navigate and Waze has probably singlehandedly prevented many mid-route atomic explosions). Imagine fighting over which song to listen to and where to stop for lunch. Doesn’t sound so tempting. But then imagine the places you’ll see together. Imagine the memories you’ll share. Imagine the quality time that you can always remember but that you might take for granted. I suggest making the road trip somewhere magical so that the places you see will outweigh the petty arguments. Italy is an ideal location for this type of vacation. The roads are easily navigated, the distances short, the scenery is beautiful and you can’t go wrong. No matter where you stop along the way you are bound to fall upon a cute town and great food. 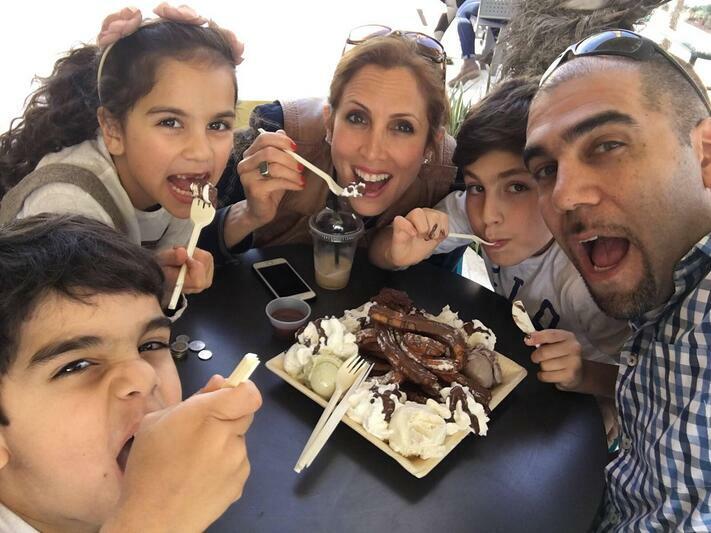 The importance of family travel is a topic that’s been written about a lot, particularly with road trips. Think white sandy beaches, bohemian flare, eco-friendly hotels and sea turtles just hours from the US and you get the picture – a perfect vacation getaway with a different vibe. The hotels line the beach which is also a nature preserve and home to the community of sea turtles that hatch there and swim off to sea. Behind the hotels is a small sandy road with some chic boutiques with a surfer flare. 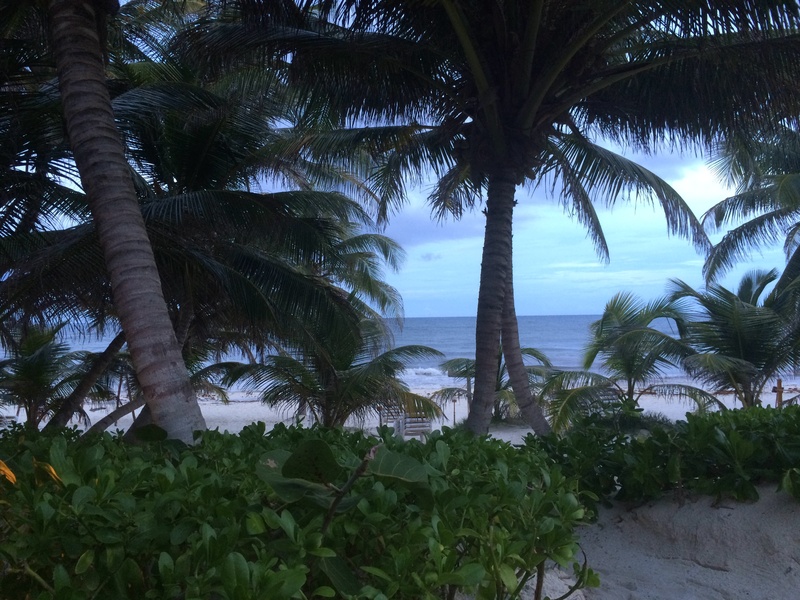 For a luxury hotel with an eco-friendly, yoga loving atmosphere, stay at Be Tulum. To hang where the fashionistas go, opt for staying at Coqui Coqui. For lunch, grab tacos as a shack on the beach and channel your inner surfer. For dinner, Posada Margharita is my favorite for a night of eating Italian food with your feet on the sand surrounded by lots of candles and cool, simple décor. While you’re there, don’t miss a day excursion to the incredible Cenotes. These are grottos – natural swimming holes with clear blue freshwater. Whatever your definition of fun, and whether you’re looking to shake up your vacation routine or take the trip you never get to take, the world is your oyster. 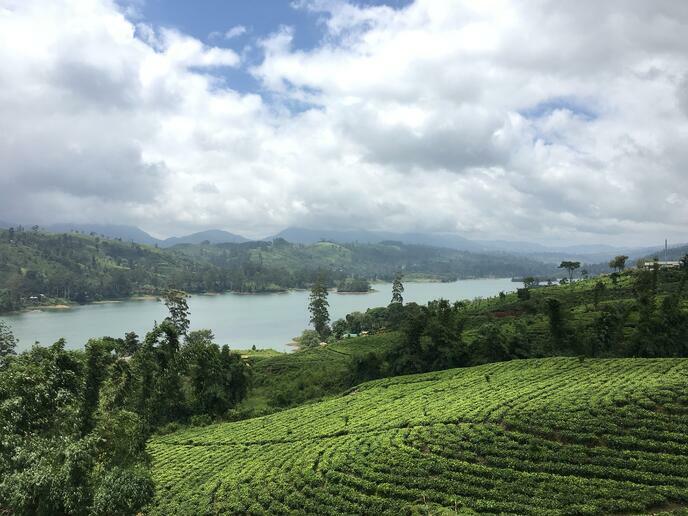 These are just a few of my absolute favorite spots to get your mind rolling on the fun vacation ideas for your next adventure.